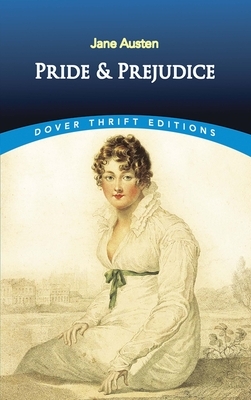 One of the most universally loved and admired English novels, Pride and Prejudice was penned as a popular entertainment. But the consummate artistry of Jane Austen (1775-1817) transformed this effervescent tale of rural romance into a witty, shrewdly observed satire of English country life that is now regarded as one of the principal treasures of English language. In a remote Hertfordshire village, far off the good coach roads of George III's England, a country squire of no great means must marry off his five vivacious daughters. At the heart of this all-consuming enterprise are his headstrong second daughter Elizabeth Bennet and her aristocratic suitor Fitzwilliam Darcy -- two lovers whose pride must be humbled and prejudices dissolved before the novel can come to its splendid conclusion. Rich with memorable characters from 19th-century English society and compelling themes of love and personal rivalries, the novels of Jane Austen (1775-1817) continue to enchant modern readers. One of literature's most celebrated women authors, Austen crafted stories remarkable in their psychological depth.